Home Prince of Wales Potluck Birthday Party for Dennis Demmert and Rachel James! 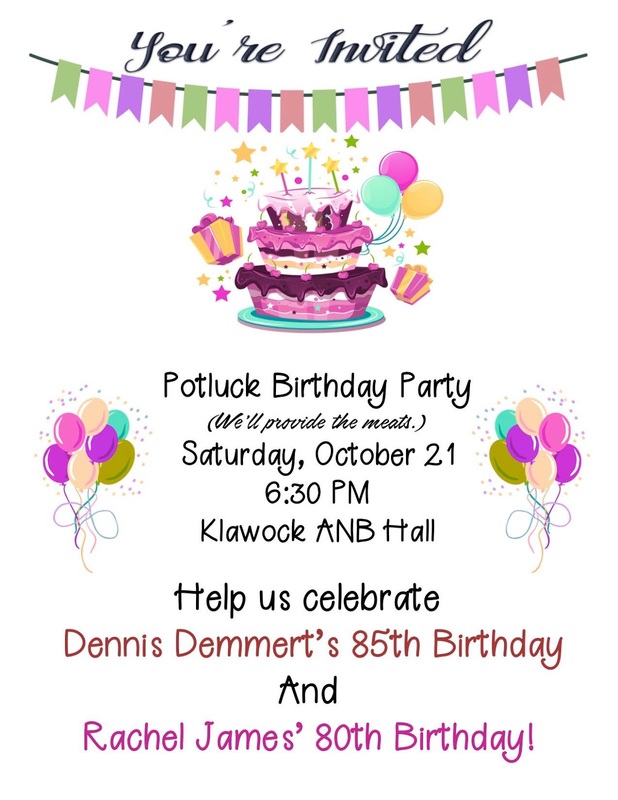 Potluck Birthday Party for Dennis Demmert and Rachel James! POW Report is a reader funded website, please donate!